I like the idea of surprising the teacher, asking him or her to take a part on the spot - no acting skills required for that 'look of surprise'. Dramatisation is such a good way to involve everyone, and in groups the shy children are not exposed. The only problem I sometimes encounter is bringing the class back to re-creating the whole story after they've had an abandoned time being eagles rampaging down the mountain or pushy swordfish. Suggestions gratefully received from any readers of this blog. 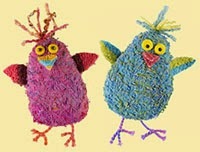 For your walking on hands acrobat problem, before you have your puppet: Why not set up the pretence that hands are feet? If children pretend to be walking on their hands they will probably move differently in the guise of a mermaid acrobat. Yes, perhaps if the children put their inner wrists together above their heads and fan out their hands - that could be a tail (the hands are then fins), and so the feet are hands. You could put bit gloves on your feet (to represent hands!) and make a mermaid tail hat? Or in pairs, one child could hold up the legs of the other child as they walk on their hands? Oh, the chaos! An adult (the teacher?) could dangle a child by the ankles so that their hands can touch the ground? If the kids are anything like my daughter was at that age they are likely to attempt walking on their hands and will not accept a substitute so this may be a way of avoiding flailing feet. Whatever you do there is a lot of potential for a memorable day for the children. I like the idea of acting out the book - for my pirate book I have little accessories for children to wear and shout pirate-ish things like 'Avast ye hearties!' (Does anyone actually know what this means??). I do wish I could sing well, though. It would be great to get them singing pirate ditties (the clean ones). 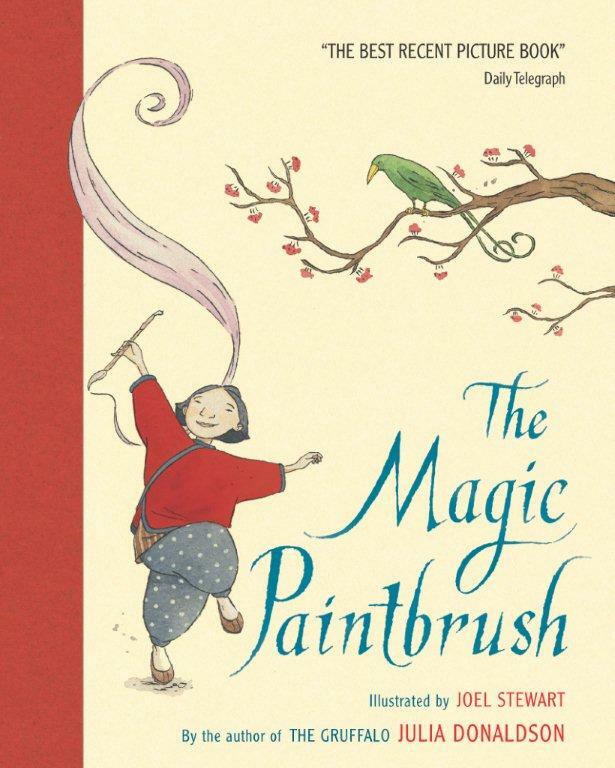 I love the idea of dramatizing The Magic Paintbrush--it's one of my favorite stories! Right, you've prompted /provoked /inspired me, Julia. From now on, I'm going to do even more dramatising than I usually do! All-singing, all-dancing, come-all-ye. Thanks for an exciting post, Julia. You've got me thinking about all sorts of weird and wonderful things (including whether you could wear a mermaid tail hat (with elastic under your chin and then crouch down and walk with your hands on your feet. Hmmmn). I love getting children joining in during school visits and we always do very entertaining assemblies with lots of audience participation but you've inspired me (like Malachy) to get more acting out into my sessions. I've just put in for a grant (which looks promising) to get children more engaged with reading for pleasure and writing in our school and if we're successful, amongst other things (including author visits etc) will be a brilliant local actor who's going to get everyone acting out stories. Thanks again, and good luck with your latest book. I have in the past when I am writing a manuscript and come to a "holding place" (i.e. BLOCK) used toys and my family to dramatize the Plot Thus Far in hope of being jolted out of my "holding place" - this is definitely taking it a step farther. I absolutely love it. 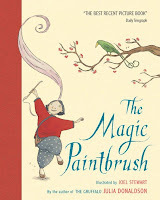 Julia Donaldson, if no one else has told you lately, let me just put it in writing - you are a freakin' genius. Now i am not only a huge admirer of your books, but also of your Theatrics. Thank you so much for sharing this inspiring blog! Such fun suggestions! Paeony's is called 'wheelbarrowing' where I come from! One could ask the students for ideas for kid-sized actions one could learn (sitting down if group is large! ), just as the acrobat teaches the mermaid, i.e. touching elbows behind your back, curling your tongue, whistling and humming simultaneously, etc. Thanks - I've been inspired to make another suggestion myself: for my local library to purchase the books mentioned (that we don't already have)! Inspiring post. Thank you Julia. I'm an ex music teacher who was lucky enough to work closely with a drama teacher and I learnt a massive amount from her, but I've never yet done a complete 'production' on a school visit. After reading your post I think this will change! 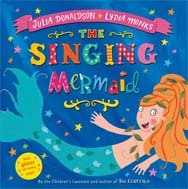 I'm looking forward to The Singing Mermaid. Whenever I do book signings/readings I regularly get at least one child wander off to the book shelves and return clutching one of your stories, wanting it to be read as well. No pressure! Thank you Julia, you always inspire me. It's great to have you guest blogging on the Picture Book Den and sharing your experiences. I often visit Infant Schools, and like to get the children up and moving - joining in with my rhyming picture books or with action rhymes I've written to go with the prose ones - but now I'm going to have a long hard think about assigning roles and acting out. Good luck with The Singing Mermaid and thank you again for everything you do. A very good idea to get the teachers involved, so they give the children added fun and they don't get the chance to slip off for a cuppa and a flick through their phone messages. Of course, not every teacher does this, I hasten to add, but it has been known. What an inspiring post - thanks, Julia. I really love to see children up and about, feeling the story. I love it too! How about trying all those wonderful Rupert stories or Dr Zeuss? What a magical way to bring a book or a poem to life. BTW Julia we saw the Gruffalo is South Brent School done by a group of professional actors. it was one of the most amazing things my children have ever seen. right up there with Joseph and Les Mis. This is a wonderful way for kids to be a part of a memorable experience. I'm sure they will always remember your visits and your books. 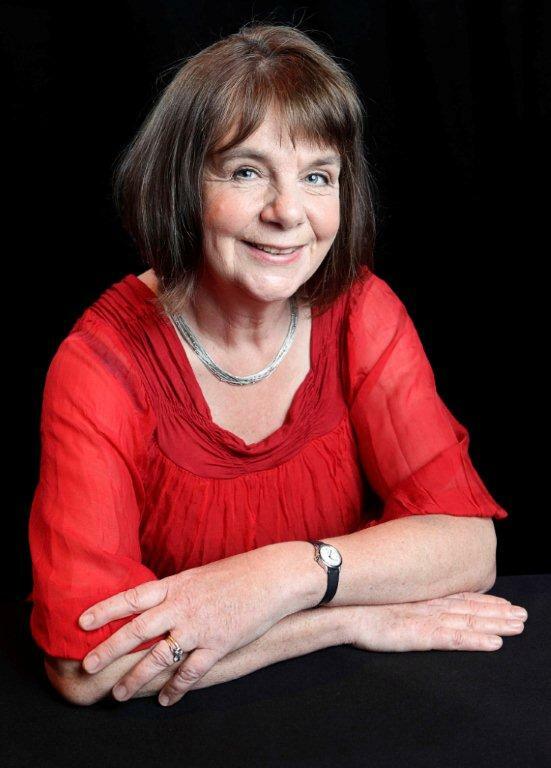 A message from Julia Donaldson.